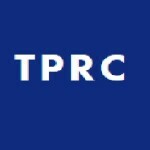 CFP: TPRC47: Communications, Information and Internet Policy – Washington, D.C. The 46th Telecommunications Policy Research Conference will take place Sept. 21-22, 2018, in Washington D.C. The call for papers ends March 16, 2018. CFP: Conference on Communications, Information, and Internet Policy – Washington D.C.